We toured the entire Zoo—what an amazing learning experience—and Peggy interpreted for other zoo visitors when I was making photos. It was awesome seeing how much joy it brings her to enhance a visitor's experience with information they might not otherwise be privy to. My personal favorites are the Orangutans, probably from the first time I saw the movie Every Which Way But Loose, starring Clint Eastwood and Manis the Orangutan. Years later, I would move to Pinedale, Wyoming, where I finished high school. We would drive 100 miles north to Jackson Hole—where the movie was filmed—once a month to shop for groceries. It was so awesome recognizing filming sites from that movie when we were there! 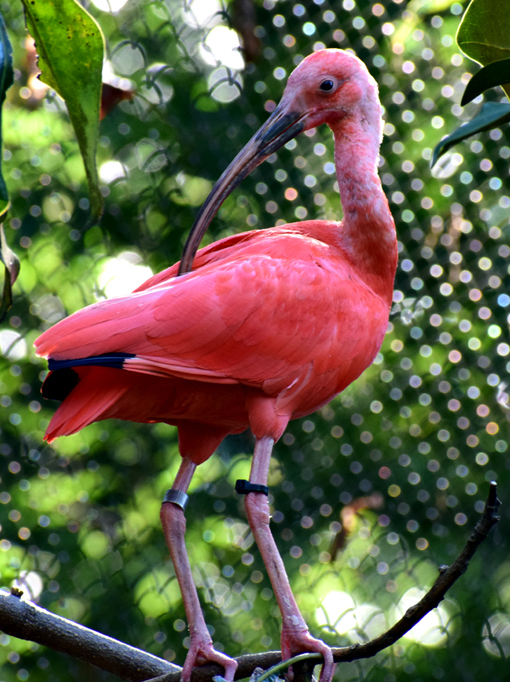 Zoo Atlanta is home to many, many avian species and some fascinating ones at that! When we happened upon the Scarlet Ibis, I was awestruck by its beauty. I couldn't stop watching (and taking photos). It's no wonder that this striking bird has been the subject of a number of literary works! 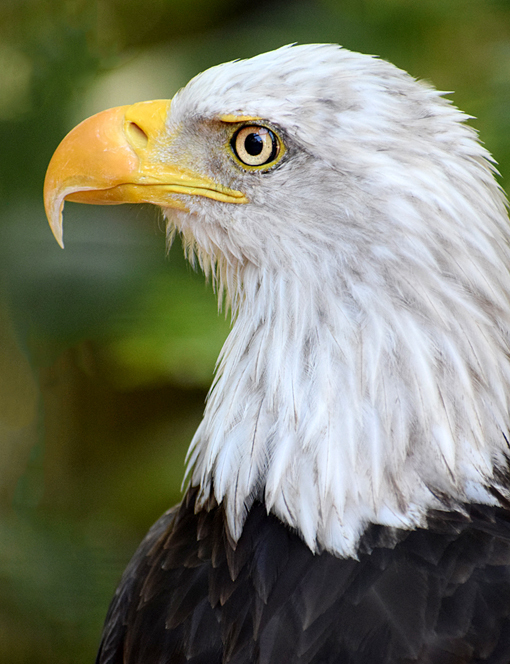 Typically a zoo would not have a resident Bald Eagle, but in the case of wing damage—as is the case here—a zoo provides food and protection from predators, as well as being an educational opportunity that most would never enjoy otherwise. Even with a damaged wing, THIS Bald Eagle is gloriously majestic! This was my first time exploring the new Scaly Slimy Spectacular: The Amphibian & Reptile Experience and it's AWESOME! 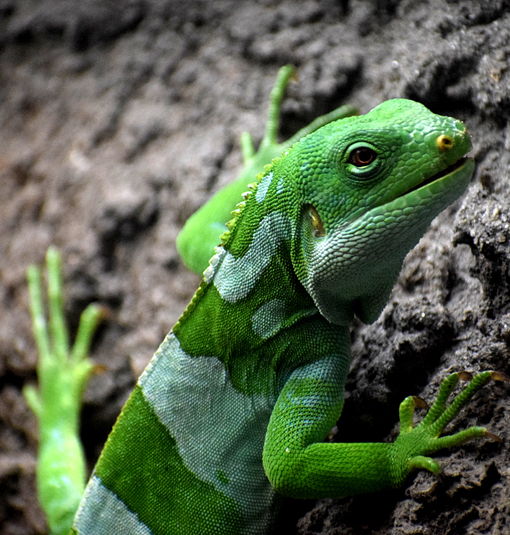 Home to more than 70 species, plan plenty of time to meet some of Zoo Atlanta's most fascinating residents, including a Komodo Dragon, a mesmerizing chameleon, and some baby diamondback terrapin turtles! If you're a beer aficionado, you may know that the diamondback terrapin is part of the logo of Terrapin Beer Co. in Athens, Georgia. The digital, interactive animal identification signage is a first for Zoo Atlanta. This signage also shows whether or not the animal is endangered or not, including the "extinct except in human care" category. Some of the newest residents at Zoo Atlanta are the Huacaya Alpaca, this one's name is Smurf, I believe, and they're sooooo cute! Originally from Peru, they now live all over the world in human care. This domesticated species is so popular right now. They've been showing up at weddings all over the country! 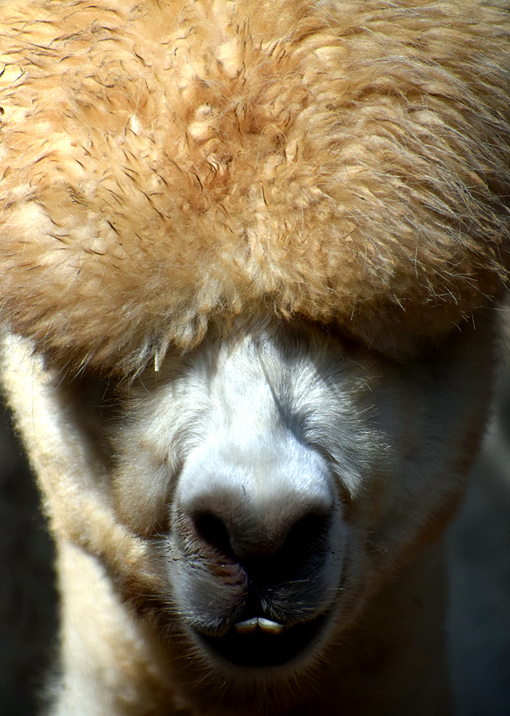 #DidYouKnow: Alpaca and Llamas are often mistaken for one or the other, but they are totally different species! 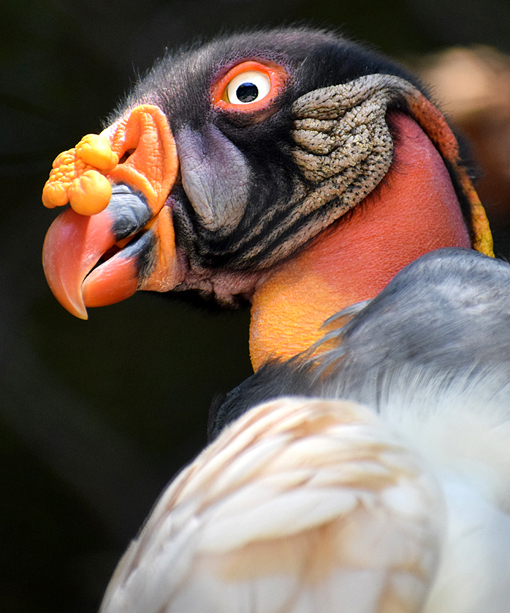 This avian is so brightly colored that you might not immediately recognize that it's a King Vulture. It took me a minute because I was so fascinated by all the colors. I think vultures unduly get a bad rap. They have a vital role in our ecosystem. Yes, their eating habits are disgusting to us, but by eating carrion, they're cleaning up what could otherwise be a breeding ground for disease. Next time you see a vulture, you might replace "eewwwww" with a "thank you". 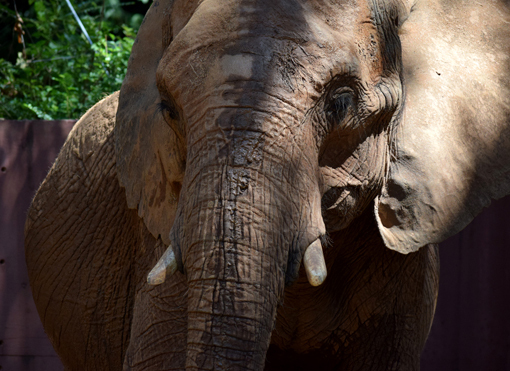 There are two African Elephants—the largest of elephant species—at Zoo Atlanta. There will be more when the new African savanna habitat is completed. The elephants are one of the many "Wild Encounters" that visitors can experience. During a Wild Encounter: Elephant experience, you get to give Tara or Kelly an afternoon snack, up close and personal! I've not done this yet, but it's on my list. 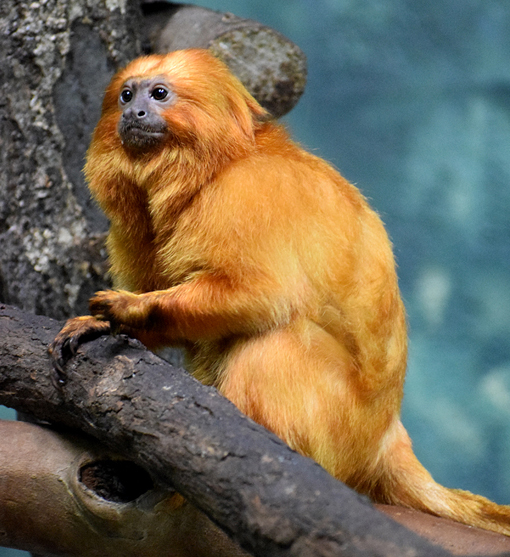 One of the things I love about Zoo Atlanta is its extensive conservation work, the endangered Golden Lion Tamarin being among the many projects they're currently working on. Zoo Atlanta's Mission: We save wildlife and their habitats through conservation, research, education and engaging experiences. Our efforts connect people to animals and inspire conservation action. From everything I seen, Zoo Atlanta is continuously demonstrating their mission, one that this blogger is excited about and proud of. Education and conservation would be enough, but a Zoo Atlanta experience is so much more! 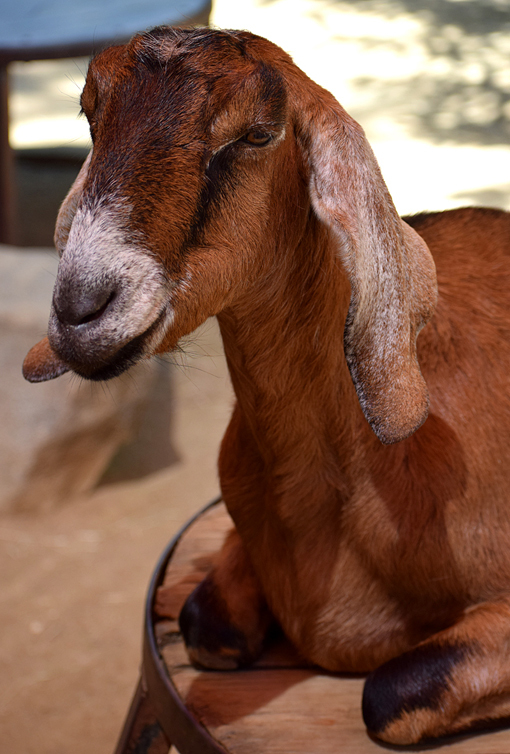 I was looking forward to the Petting Zoo, getting to hang out with the goats! Zoo Atlanta is home of several kinds of goats, the one pictured above being a Nubian Goat, the kind that I lived with the summer after high school graduation. I lived with my art teacher and his wife, Duane and Pip, on their goat ranch. There were about 40 goats, each with a unique personality and each wanting all of your attention. We were up at 5:30am every day to milk the goats. During my time there, we made a few batches of goat cheese and ice cold goat's milk is delicious! The Chilean Flamingos are the greeting committee at Zoo Atlanta...they're the residents of the first habitat visitors see. On this particular morning, they were in the midst of a grooming session, wanting to look their best for the day's visitors, no doubt. 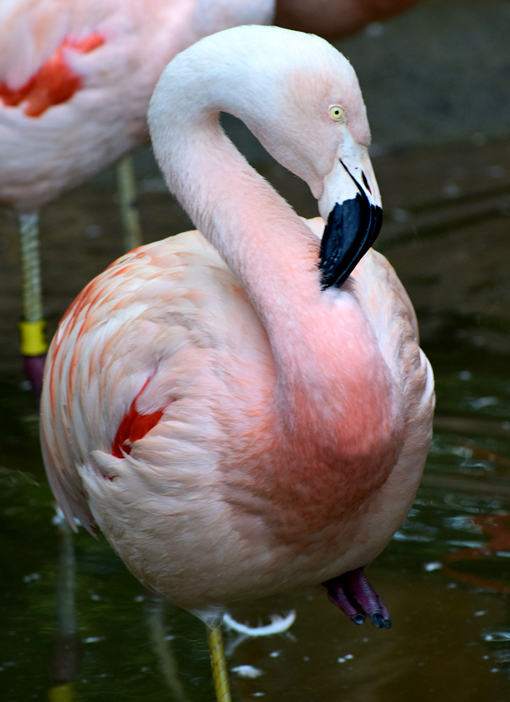 #DidYouKnow: Flamingos get their pink color from the beta carotene in their diet? There's a food dispenser to the left of the habitat, so you too can feed them! I am so thankful to my friend Peggy for the wonderful grand tour of Zoo Atlanta. Before I left that day—after our 5.5 hours of exploration (including lunch), I purchased a membership and look forward to exploring Zoo Atlanta on many of the 363 days per year that it's open! 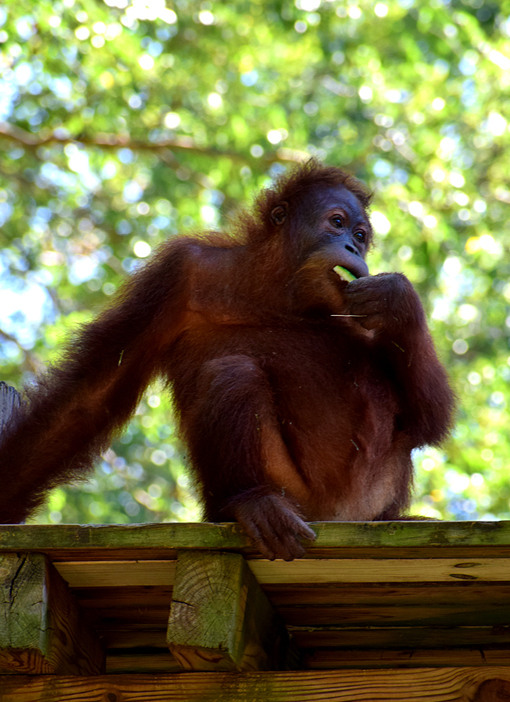 I invite locals to check out the various levels of membership and I invite everyone to explore the many ways in which you too can support our amazing Zoo Atlanta. Enjoy some additional photos from the day on wanderlust ATLANTA's Facebook page.